The Design Bloggers Conference is the only conference specifically focused on the interests of interior design bloggers, interior design bloggers using content to build their business and personal brands, and any design professional seeking to learn more about using content on the social web. The conference offers attendees a unique opportunity to participate in the intersection of interior design with the world of new media including blogging, social media, and more. 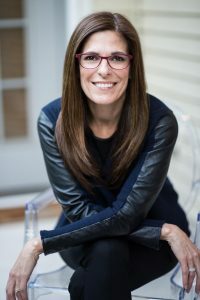 LuAnn is an award-winning window treatment authority, author, host of one of the most popular podcasts for the design industry, and overall business dynamo. Based in Livingston, New Jersey, LuAnn got her start in 1982 when she, her husband and cousin purchased a franchise of the Florida-based window treatment company, Window Works. With LuAnn at the helm of sales, they quickly expanded from New Jersey to serving the entire metro area from Philadelphia to Connecticut, and became the leading showroom in gross sales of the more than 120 Window Works stores around the country. Podcasting is taking our community, and others, by storm. There is a higher barrier to entry in this social content channel, but James Swan, Nick May and LuAnn Nigara have made the investments for the right reasons. As a result, they have the opportunity to speak with the most successful and famous design professionals and brands every week. Hear their top experiences interviewing design celebrities and what they learned. Understand how social media is not just about sharing, but about learning from the key design influencers you network with to produce memorable content. For more information visit the conference website at: https://design-bloggers-conference.com/.